I was born in Pyhäjoki, in the village of Yppäri, where I spent my childhood and adolescent years. After the military service I moved to study in Jyväskylä, from where I graduated as a physics teacher later on. After my graduation I worked as an educational researcher for many years. Now when looking back at that period, the most important aspect of that work was the fact that in one seminar I met my big love Lisette. At this point I had also due to my personal growth process found the importance of bodily experiencing in processing different problems. Additionally I had found the therapeutic effect of writing my own music and lyrics based on my own life. Personally I experienced the True Voice training of Lisette very inspiring and furthermore I could also feel the holistic effect of the method in my own wellbeing. Partly encouraged by this I started to pursue a long term dream of making my own album. And in 2015 the album Tyhjyydestä vapauteen (From emptiness into freedom) was published; you can check it out on Gaia’s music page and on my artist page www.jussimusic.com. The healing effect of bodily experiencing I had after I got to know personally the Rosen method. This journey continued gradually to the point that I started the training to become a Rosen therapist myself. Currently my studies are mostly completed and I have moved into the last part of the training, the internship period. Next to the studies of Rosen method I have started also the training for traditional bonesetting, since I have noticed that these two different approaches are complementing each other very well. In my treatment sessions my goal is to help my clients always holistically, which means that although the treatments that I give are bodily in nature, the purpose is every time to find the core reason for the problem and help it to be healed. When this is reached, the natural holistic wellbeing can start to flourish again. I was born and raised in the Netherlands, and have lived there the biggest part of my life. After I earned my Master’s degree in Psychology, I became a researcher in the educational field. However, I found out that this kind of job does not make me happy. I missed the sparkle; I missed to be in contact with people, to truly connect with people and to see people the way they are, not as what they do or where they stand in life. At this moment I started my True Voice® training, and at the same time I started working as a volunteer at the Kindertelefoon (the Dutch national phoneline for children and adolescents with problems or questions). How wonderful choices! I received my True Voice® training from Mark Fox (California, United States), in Aachen, Germany. As an opera singer, singing teacher, and especially since he has developed and worked with the True Voice® approach since 1996, he is a great inspiration for working with the voice. 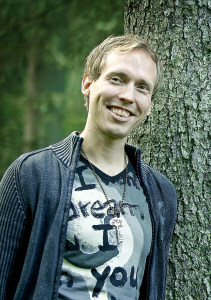 I am honored and happy to be the first one to bring this wonderful healing approach to Finland! Ever since my True Voice training I’ve been writing mantras. They guide me on my own path, and they accompany us in our True Voice workshops and healing events. I hope to record them someday. But until then, you just have to come and experience them. If you like to hear a sample of a mantra we sing in our workshops, you can listen to one on our music page (I didn’t write this particular mantra, but it gives you an idea). After completing my True Voice training, I came in contact with Ulrike Hirsch, a talented painter, creating wonderful art straight from the heart and offering healing intuitive painting workshops. When she announced that she was about to offer a training in Healing Intuitive Painting (comparable to expressive art therapy), I could do no less than to follow my heart and off to Germany I went once again. “Follow your heart” was my motto by then, and that was exactly what I did. And now I have a great package to offer to you! Psychological help, relationship therapy, True Voice, healing intuitive painting (or expressive art therapy), sound healing and mindfulness/relaxation. Important to me is that I see you, your wonderful true you. Healing happens through loving yourself, through recognizing and accepting yourself with all your facets. And so I honor you, so that you can heal and grow into your fullest potential: you.